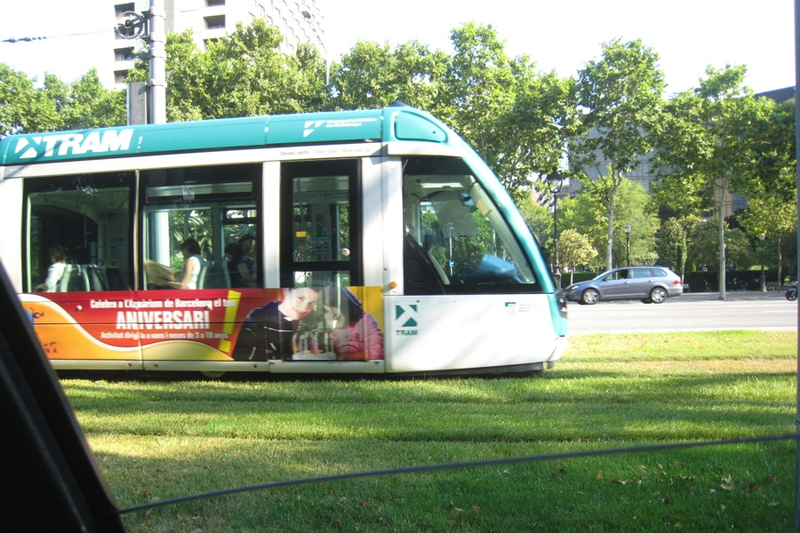 The TRAM is another thing that I admired in Barcelona : it was running on grass. It's so much nicer than asphalt and most likely better for the environment. The green added a serene lush feel to the area. 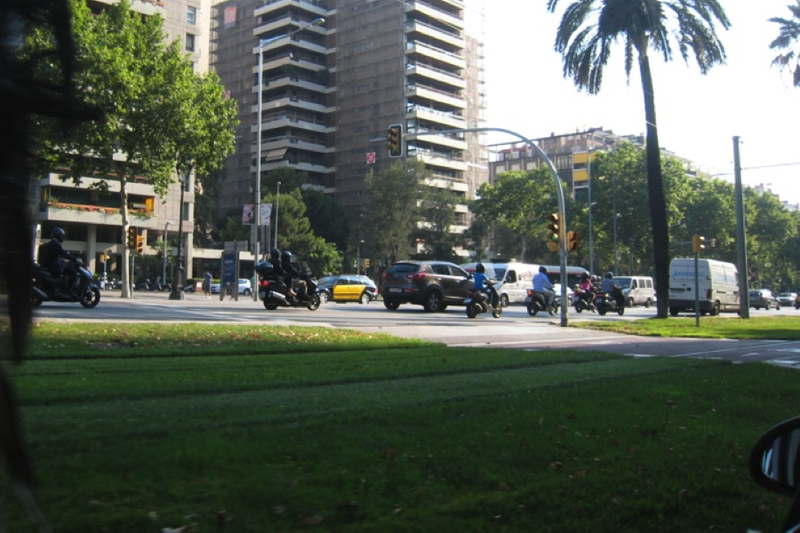 I also like how the space is organize : there's a space for cars and scooters, a place for the tram and a space for cyclists and pedestrians. It's quite a large street. Whoever planned this did a great job in my eyes and this should be emulated in more cities for better living.